SERVE is a Cork based development and volunteering organisation committed to tackling the root causes of poverty to achieve justice, equality and opportunities for all. Since 2003 SERVE has worked in solidarity with some of the poorest and most disadvantaged communities in Southern Africa, South-East Asia and South America. SERVE’s vision is of a world where everyone has an opportunity to realise their potential and make a meaningful contribution to society. · Improve access to basic services in vulnerable communities. 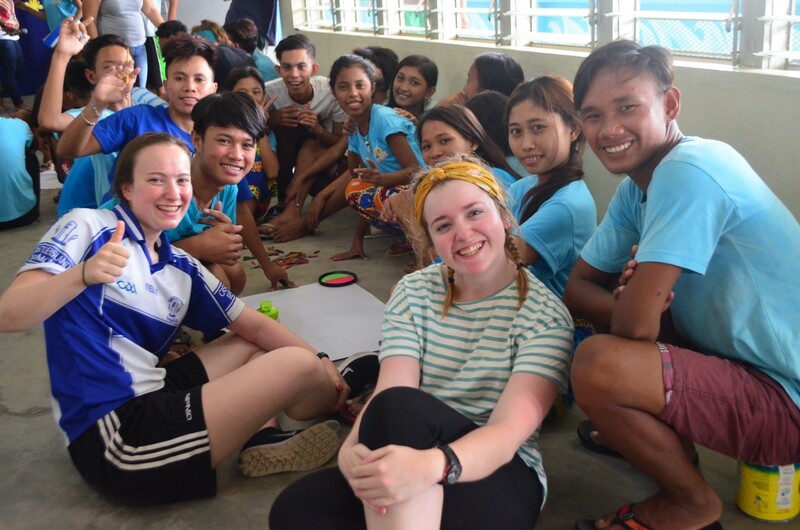 How does SERVE’s volunteer programme contribute to realising SERVE’s vision? SERVE’s volunteers play a very important role in building the capacity of our local partners to sustain and improve the services they offer. Our volunteers work with the local community to encourage dialogue. By sharing and working together the SERVE volunteers and the local communities learn from each other. 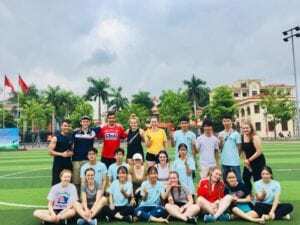 When does the SERVE Volunteer Programme take place? – Refurbishment and building projects and many more. Some specialist professions are sought and will be beneficial but application is open to all skill levels and backgrounds. A flexible, will give it a go attitude is essential. Yes, there are 3 training days pre-departure. These take place on Saturdays, 1 in February, 1 in April and 1 in May. There is also a post placement debriefing weekend called Next Steps, this takes place in October. Attendance at all 3 pre-departure training days and at the Next Steps Weekend is mandatory. 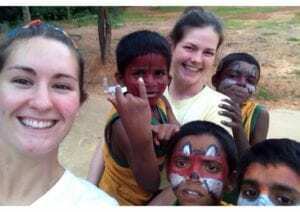 Does it cost money to participate in a SERVE volunteer programme? What does the €2,995/£2,650 cover? · It pays for the costs of your flight, in-country accommodation and transport, main meals and importantly your travel insurance. · It buys any materials used on the programme such as craft materials, paint, bricks etc. · It contributes to the overheads incurred by SERVE in the running of the programme. · It provides grants to partners to build on the work undertaken as part of the volunteer programme. · It covers the cost of the accommodation and meals provided at the Next Steps weekend. Will I get help with my fundraising? Fundraising support in the form promotion, advice and guidance will be provided. There will also be access to SERVE branded fundraising materials such as bibs, buckets and posters etc. The organisation of fundraising events will be the responsibility of the volunteer. Volunteers raising money on behalf of SERVE must comply with SERVE Fundraising Policies and Procedures. Yes. Once you have been offered a place you will be provided with a list of instalment dates. Many of our volunteers raise sums over and above their €2,995/£2,650. Any additional amounts raised go to support SERVE’s work at home and abroad. The €2,995 / £2,650 participation fee primarily covers the running costs of your placement. If you do not raise this amount, you will have to forfeit your place. However, if you are having trouble with fundraising, you will have the support of both SERVE and our volunteer network to help you to reach your target. How much personal spending money will I need to bring with me? 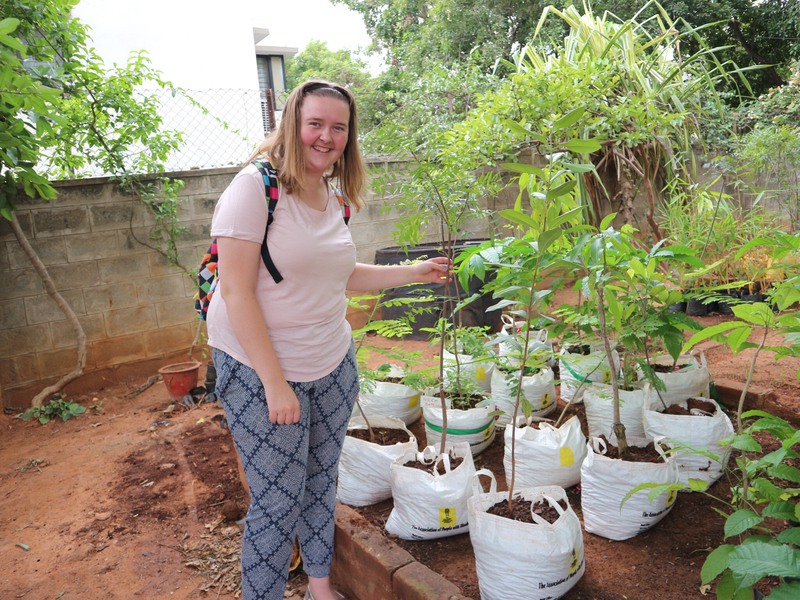 Returned volunteers suggest an amount of €400 should more than cover your day-to-day expenses plus any free-time/activity expenses over the duration of the project. Is a SERVE Volunteer Programme safe? Safety is our priority and we go to every effort to ensure the safety of our volunteers. The programme will be led by experienced volunteers, who accompany the group throughout the placement, and provide supervision and support. SERVE’s partners in country also provide any necessary support. A 24-hour helpline is operated throughout the programme. Health, Safety and Security is covered extensively during the pre-departure training. Yes. A professional from the Tropical Medical Bureau (www.tmb.ie) will attend the first training day to provide information on the necessary vaccinations. You may also consult your local branch of the Tropical Medical Bureau or your G.P. Can I stay on a travel on my own after my placement? No. SERVE volunteers agree to travel out with the group and travel home with the group. SERVE is not in a position to allow for volunteers to do their own independent travelling at the end of a project. Accommodation can vary from placement to placement. Some projects include staying with host families during the duration of the project. On other placements volunteers can expect to be staying in group dormitories or in accommodation provided by the host community. All of our accommodation is basic but clean and safe. Food varies from country to country but is generally basic. SERVE does its’ best to accommodation those with food allergies or with specific dietary requirements however it is often very difficult to source specialist foods. You can now apply online for the SERVE Volunteer Programme. You can apply here. When will I hear from SERVE after I apply? We will be collecting applications throughout September, October and November. We will make contact with you to organise an interview in early November. SERVE has been a signatory to the Comhlamh Code of Good Practice in Volunteering since 2005 and subscribes to the Dochas Code of Conduct for the Use of Images and Messages. In Bangalore, SERVE Volunteers will work alongside one of our four partners; Morning Star, The Association of People with Disability (APD), Sumanahalli and Jyothi Seva. 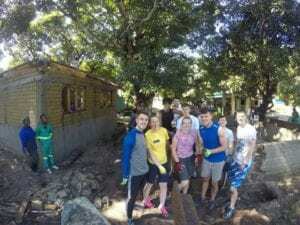 SERVE have been working with Young Africa in Mozambique since 2007 and given the mutual focus on tackling youth poverty, there is a natural fit between the two organisations. Young Africa have been working in Beira, Mozambique since 2004, when they were invited to work there by the Mozambiquan Ambassador to Zimbabwe, who witnessed Young Africa in operation in Zimbabwe. In partnership with the local community, Young Africa has developed a Skills Training Centre in Beira which is providing education, practical skills training and life skills training to 800 young people between the age of 15-24. Young Africa operates on a Franchise Concept which allows local business people to use Young Africa facilities and equipment, whilst providing skills training for young people. In Manga – Beira, on a plot of land donated by the Municipality of Beira, Young Africa offer non-formal skills training in about 10 different market-oriented trades, teachers training; academic coaching classes for school drop-outs, run a hostel programme for orphan girls, have micro-credit facilities, organise annually awareness festivals and offer community services as a sports, games, arts, library, internet café, crèche and adult literacy classes. On the 11th of November 2010, the first grounds job was done to make a YAgri-Tech in Dondo a reality: a bulldozer cleared a pathway to the 200 ha. of land offered by the Municipality of Dondo. The idea of the YAgri-Tech centres in Zimbabwe and Mozambique is to train young people in agriculture and agriculture-related skills. SERVE volunteers in the past have been involved in the construction of a créche and a volunteer residential block, the renovation of study huts and the construction of a chicken coop on the YA campus in Beira. They have also assisted with the running of festivals (World Cup and Sports festivals). In Dondo they have also been involved in making classroom tables and benches and refurbishing and painting classrooms, and also running a sports festival for the young people of Dondo. As the development of the YAgri-Tech progresses in Dondo SERVE volunteers will continue to be involved in construction and refurbishment projects and community development projects. Digging, heavy lifting, mixing cement, bricklaying, painting, plastering, carpentry. Engaging with local youths through art, sport, drama and generally socialising. Projects can vary but essentially what is required is an openness and generosity of spirit. The Badjao Tribe are amongst the most abandoned and vulnerable people in the Philippines. As they are an indigenous tribe with their own culture, language and customs they are treated as second and third class citizens by the Philippine government. SERVE’s commitment to the Philippines commenced in 2003. In the past SERVE volunteers have provided educational support and funding for essential educational equipment and the capacity building of local teachers so as to boost the educational and literacy performance of young Badjao children. In the past number of years the Presentation Sisters secured the right to build permanent concrete homes for the Badjao community and in partnership with RAFI and SERVE, began that construction process. These homes provide a safer environment for families to grow and thrive. This healthier home environment has many positive knock-on effects including increased attendance at school. SERVE volunteers will contribute by facilitating music and art workshops and youth leadership training programmes. Visiting and spending time with the children in the school; Devising a programme of games, activities. Delivering youth leadership training programmes. In order to meet the needs of the Volunteer Programme, the volunteers, as a group, should also have the capacity to: Write articles & diary entries, take photographs & videos, prepare & make presentations. 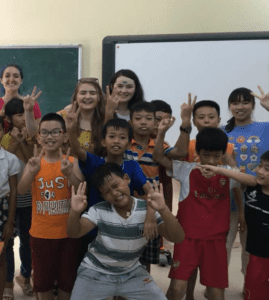 In Vietnam, SERVE is working in partnership with the Centre for Sustainable Development (CSDS). CSDS is a non-profit organisation based in Hanoi. They are concerned with building the capacity of young people to effect change in society. CSDS provide training on leadership, critical thinking, personal development, volunteer management and social entrepreneurship using a non-formal education approach that enhances personal growth and social impact. The projects centre around youth and community development. 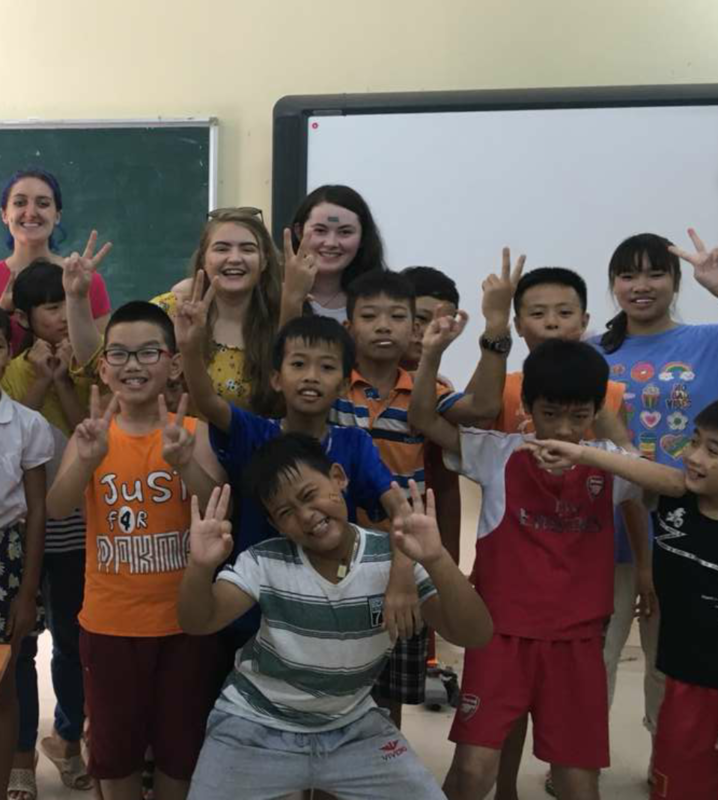 Volunteers will be placed with partners in Hanoi and in the rural areas surrounding the city. The cost of the 2018 Volunteer Programmes are €2,995 / £2,650. Please note that the above price does not include the cost of your vaccinations, any day-to-day personal spending money, or any activities undertaken on time off at the end of the project. Visas for these countries may be required to be obtained before departure or in some circumstances can be obtained on arrival in the destination airport. All visas to be obtained will be at each individual’s expense (You are not entitled to fundraise for these elements). You have to raise a minimum of €2,995 / £2,650 (inclusive of your non-refundable deposit of €200/£200). This covers the costs relating to your flight and travel insurance, pre-departure training costs, in-country support and your main meals, accommodation, transport while on your overseas placement, your attendance at the SERVE “Next Step” Weekend following your return to Ireland and a grant to the overseas partner with whom you will be placed. Fundraising support and workshops will be provided extensively during the pre-departure training days and on request at any stage throughout the process. Many Volunteers have managed to greatly exceed their targets in recent years. Many of our Volunteers raise sums over and above their €2,995 / £2,650. All of the funds raised above the target amount go directly to our Project Country fund; this provides financial support to our partners, enabling them to deliver on projects which the volunteers will work on.